Besides its delicious and nutritious fruit, I like the Fig tree for its unusual and attractive foliage. The large green leaves of the fig tree make it a nice accent plant for gardens. The tree does not require much maintenance except annual pruning to keep it in shape and size. 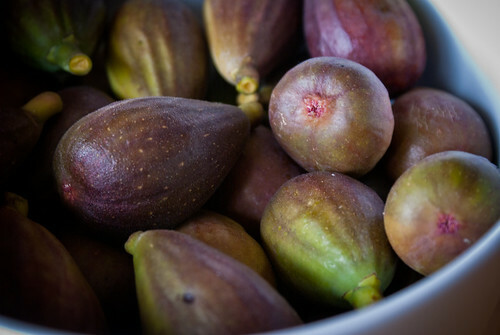 For tips on growing your own fig tree, follow this complete guide on growing figs by Debbie Wolfe. Senecio rowleyanus (Buy online) is a beautiful trailing succulent that can be grown both indoors and outdoors. 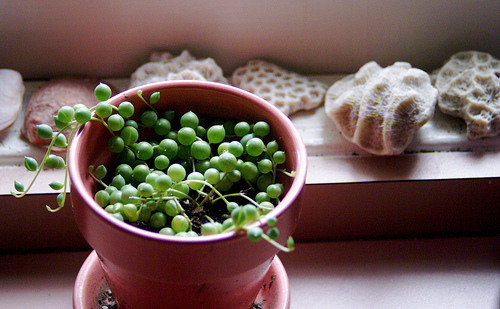 Commonly known as String of Pearls, this lovely succulent grows fast and can be multiplied easily from cuttings. When provided with moderate watering and a sunny spot, Senecio rowleyanus flourishes very well in an ordinary cactus mix. See these useful tips on growing Senecio rowleyanus by Nell Foster. 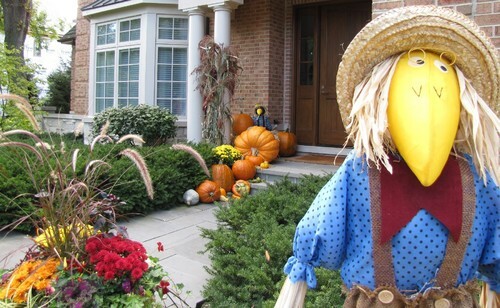 It’s time of the year… and there are so many inspiring examples of Halloween inspired garden designs to follow. Welcome to the latest issue of Garden Dispatch. 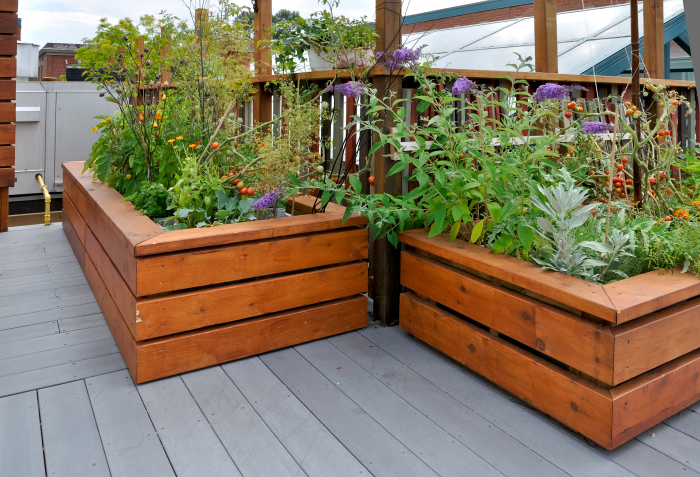 Growing all of your favorite plants in a small space is challenging but with a little planning and creativity, you can turn your small space garden into a dream garden. Brook Klausing shares his five tips for making most of small spaces. Pick the spot with the best view, where you’d want to sit, and build your garden retreat from there. Wall off the outside world with vine-covered trellises or thin, sculpted trees such as hornbeams. Use a fountain or firebowl to create a focal point—and offer distraction. 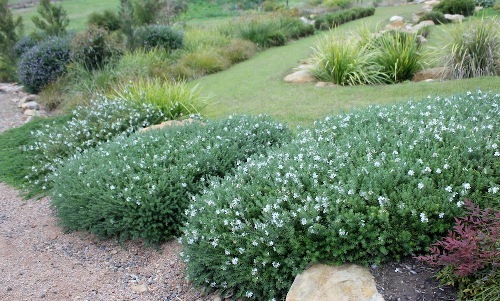 Plant scented flowers or herbs such as lavender or thyme for added distraction. Keep furniture to a minimum—try a picnic benches, for example, instead of multiple chairs. I am a big fan of ornamental grasses. They are versatile and come in all sizes, colors and textures. Most ornamental grasses are hardy and can grow under tough conditions. You can also put them to many uses. They are good ground covers, they can fill empty landscape spaces, some of them make nice accent plants, and some can be mixed with other plants to add a unique texture and color. 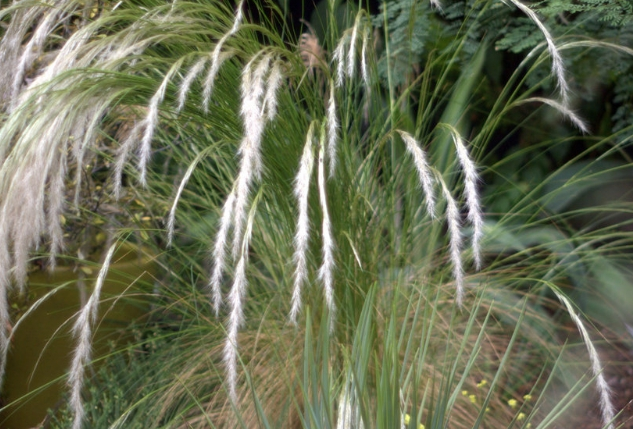 The ornamental grass featured today is Stipa ichur. See details here. 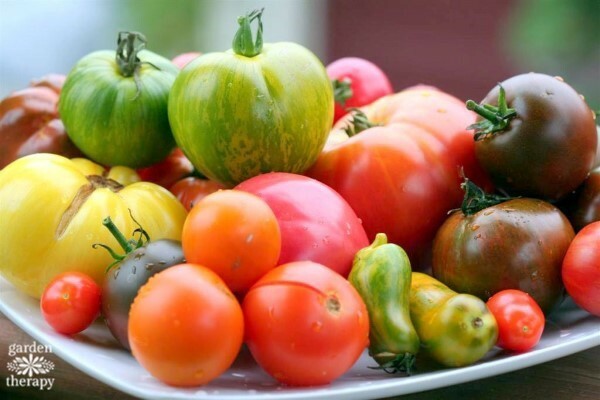 If you grow your own vegetables, this is a must read. Stephanie Rose shares her secret of getting high yield from a small vegetable garden. See details here. It is time of the year. If your dad is into gardening, here is a nice selection of plants you can buy him on this Father’s Day. 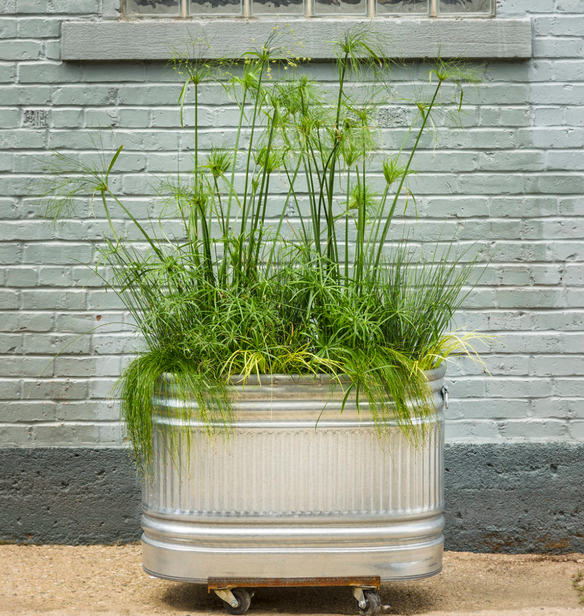 Another great article by Stephanie Rose on decorating your home with container garden. You will love these wonderful ideas. One of my favorite garden shows. If you have not been there, here are highlights from this year’s show. The best tip that I can give to someone who is purchasing plants at a nursery is: ‘Look beyond the obvious’. Plenty of flowers or shiny foliage does not necessarily mean that the plant is healthy and free from pests and diseases. There are many other factors that determine the health and quality of a plant – formation, color and texture of foliage, root system, time of the year, age of the plant etc. 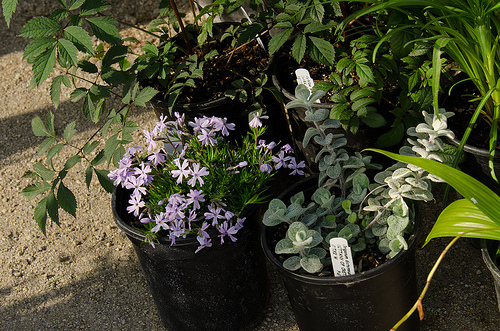 Dr. Holly Scoggins, associate professor of horticulture, shares a couple of useful tip for finding the best plants at a nursery. Designing landscape? Do not make these mistakes (again)! 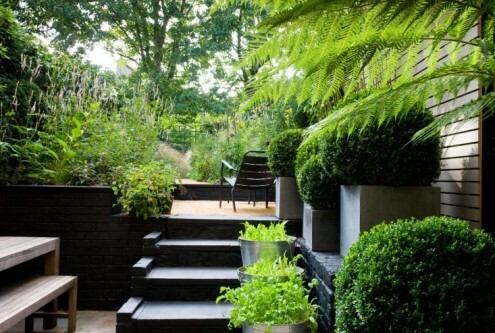 So you are planning to design or remodel your landscape design. 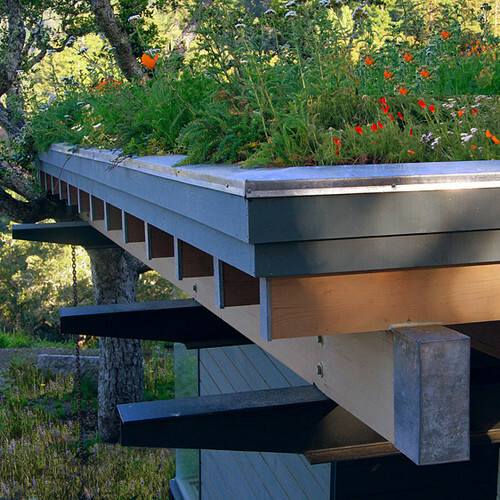 There are plenty of beautiful landscape design inspirations but every landscape is unqiue. What works in my landscape layout may not work for you. You have to balance all the elements (size, colors, form, climate, personal preferences, maintenance requirements etc.) of landscape design to make a harmonized effect. But there are some fundamental principals that apply to every landscape design project and you should not breach those principles. 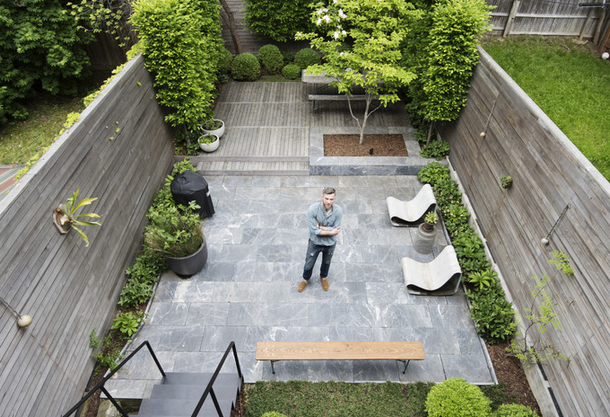 Here is a list of 11 common mistakes landscape designers make. Make sure you do not. Commonly known as Wild Bergamot, Monarda fistulosa is a drought-tolerant perennial that grows well in landscapes and rock gardens. 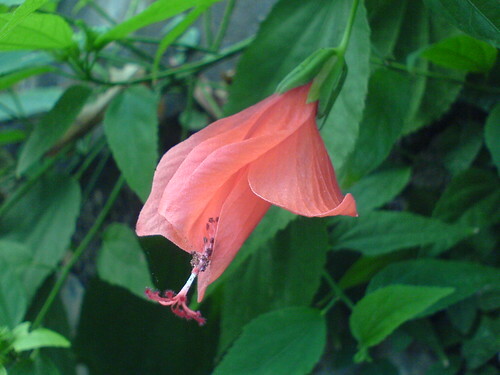 The plant is known for its aromatic leaves and attractive flowers. 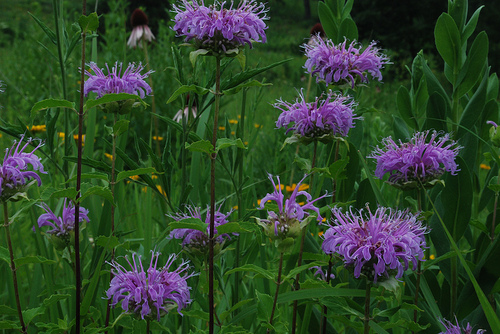 Monarda fistulosa can grow up to 4 feet and tends to form clumps of erect branches. 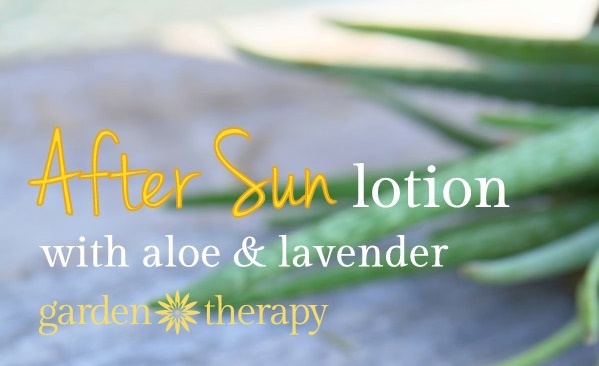 Flowers of white or lavender shades appear in summer and continue to bloom through the season. Monarda fistulosa grows in dry or slightly moist soil under full to partial sun. I like plastic pots for my plants and there are many reasons for it. They are lightweight, they retain moisture and they are available in a variety of shapes, colors and textures. Besides plastic pots, today gardeners use a number of plastic-made tools in their garden (such as hydroponic equipment). However most gardeners do not realize that not all plastics are safe for plants. If you are using tools, equipment or pots made of plastic, I would recommend that you go through this informative article: Which Plastics are Safe for Gardening. 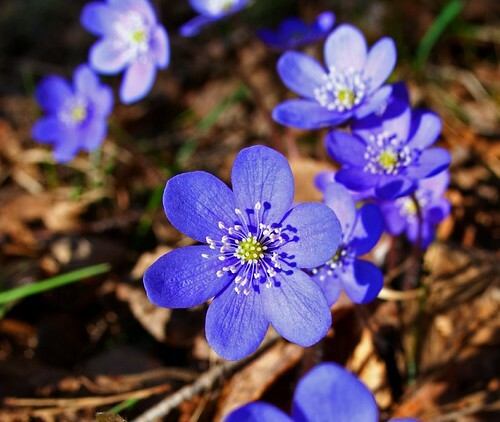 Winter is just around the coroner and now is the time to prepare your garden for the coming months of frost and freeze. Before the seasons actually sets in, there are a couple of things you can do to keep your garden tidy, organized and free from trouble during winter. Dr. Leonard Perry, Extension Professor University of Vermont, has shared some useful tips for winterizing your garden. When you are short of gardening space (you live in a high-rise building) or you do not get sufficient light or appropriate climate for growing your favorite plants, an indoor grow light system can be really useful. 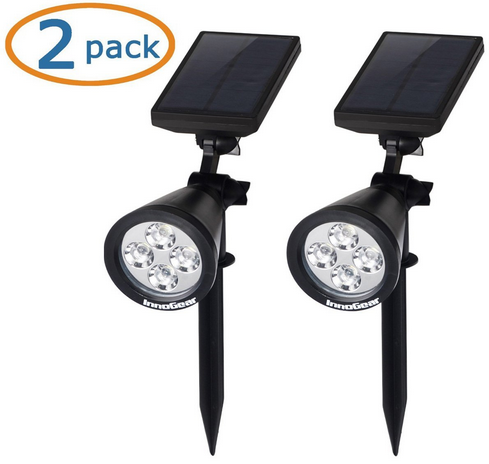 And it does not cost much to make your own grow light system. 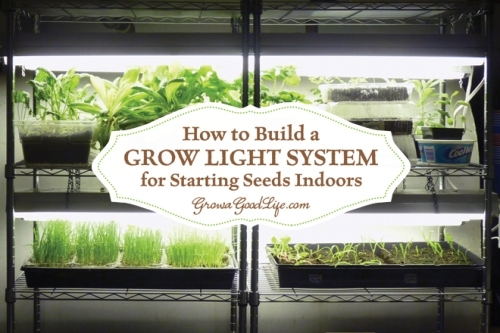 Rachel of growagoodlife.com has shared a step-by-step guide to making your own grow light system. Check it out. The Geelong Botanic Garden is a heritage garden in Victoria, Australia. 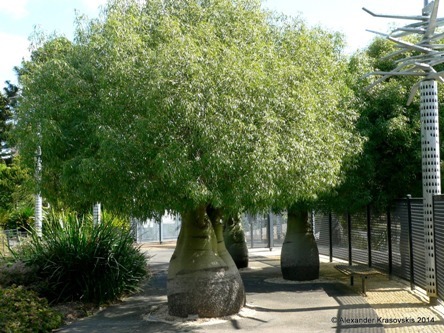 It covers an area of 200 acres and hosts a number of rare trees along with iconic Australian species and other exotics. 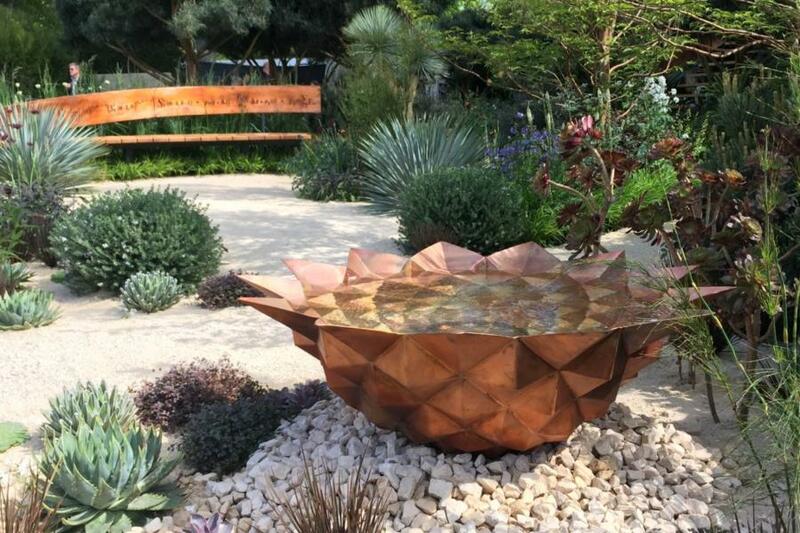 Alexander Krasovskis has recently been to the Geelong Botanic Garden and has shared some beautiful pictures from there. Click here to view full story. 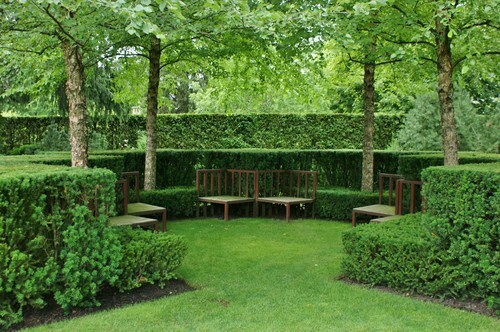 No matter what the size of your gardens is, hedges make a good choice when it comes to mark borders of your heaven. Hedges have many benefits when compared to stock fence panels. Hedges are beautiful and environmental-friendly. They attract birds by providing them safe perching places. They also act as wind barriers and crime-deterrents. Check out this comprehensive guide on growing and maintaining evergreen hedges. Yucca rostrata is a drought-tolerant and low-maintenance plant suitable for xeriscaping projects. The plant is characterized by spiky blue-grey leaves that form a nice symmetrical rosette. Washingtonia filifera is an evergreen palm tree and is known for its beautiful large fronds. This drought-tolerant plant makes a nice specimen tree in gardens and landscapes. 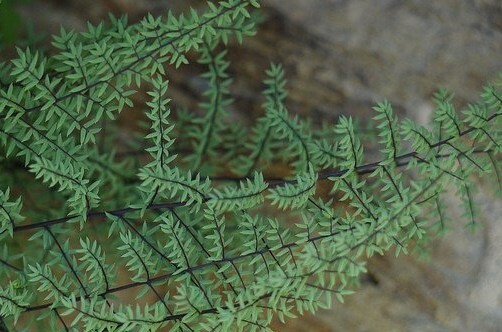 Pellaea mucronata makes a good low-growing plant that can be used in garden landscapes as filler as well as attractive foliage plant. Pellaea is equally good for hanging baskets because of its delicate stems that are usually covered with small and fresh-green leaves. To mulch or not to mulch – Read this interesting article on pros and cons of mulching. 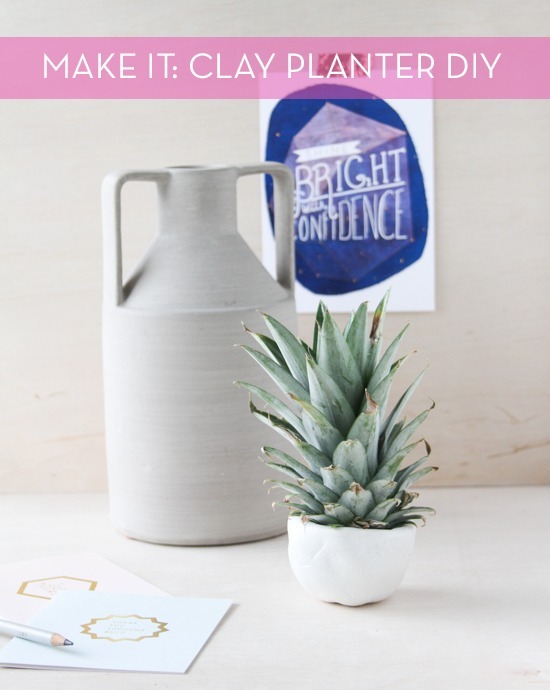 Brittni Mehlhoff gives step-by-step guide to making your own clay pots and containers to hold small plants. Follow these simple tips on making a nice moss checkerboard by Janell Hobart. If you are living in a region where summer is long, hot and dry, growing moisture loving plants like ferns or air plants can be a bit tricky. 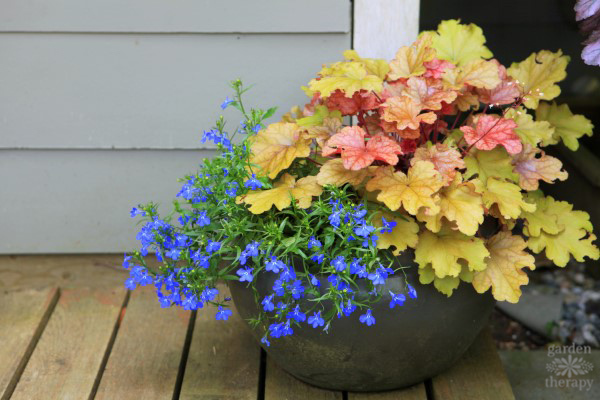 However, there are several quick and easy ways to maintain appropriate level of humidity for your plants and keep them healthy and happy in hot and dry summer. Discover some simple and practical tips for growing moisture-loving plants in a dry climate. Designer Chris Moss has used his own garden in Stockwell, south London, as a mood board. A dark and bright combination works so well here that he shows clients round to persuade them of the logic of black. Have a look at Chris’s garden. Fall is around the corner and it is time to prune your shrubs and trees for the next season. Though not all plants require regular or seasonal pruning, but it is advisable to prune your plants, whenever required, to keep them in desired size and shape. So here are 3 practical tips for fall pruning by Jim Lounsbery. Commonly known as New Guinea impatience, Impatiens hawkeri is a lovely annual that grows up to 4 feet serves as a nice border plant. 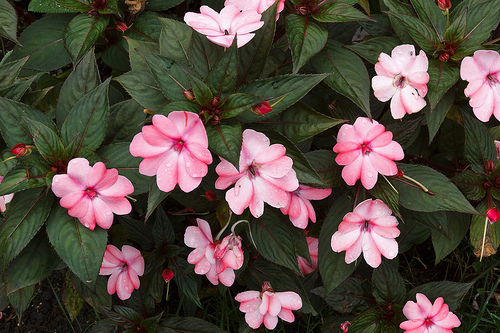 Also suitable for flower beds, Impatiens hawkeri produces flowers of many hues ranging from pink, coral, orange, salmon, red, lilac, lavender and white. See more information on growing Impatiens hawkeri in your garden. 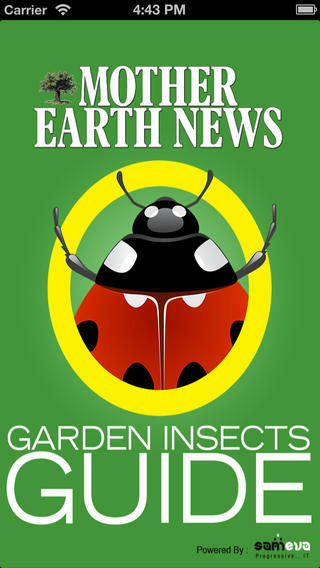 The Garden Insect Guide is a free smartphone app for gardeners. Available for iPhone/ iPad and Android phones, this free smartphone app serves as a quick reference when you are in the field – hunting for nasty bugs. You can use this smartphone app to identify good as well as bad bugs and get information about getting rid of bad bugs. Identify common pests: This section helps you identify bugs by the kind of threat that they pose to your plants. Spot insect friends: This section introduces friendly bugs that keep the bad bugs away. Keep pests away: This section provides detailed information on getting rid of infesting bugs and preventing their attack in future. “A rose by any other name would smell as sweet”. So true! You will hardly meet a gardener who is not a fan of roses. They are attractive, sweet, colorful and regal. 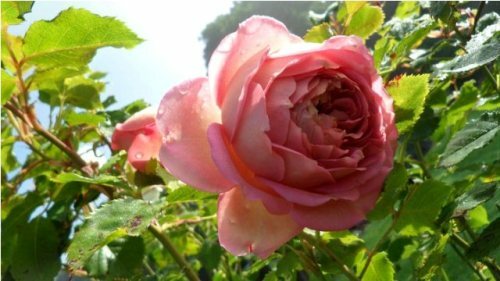 If you are new to growing roses, this comprehensive guide on growing roses could be handy. Growing your own grub can be an existing and satisfactory experience. Fortunately, you do not have to have a large piece of land to grow your own vegetable (unless you are trying to grow pumpkins 😀 ). 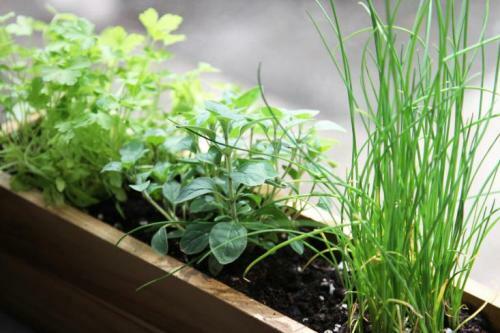 You can utilize small spaces such as windowsills to grow herbs and vegetables. 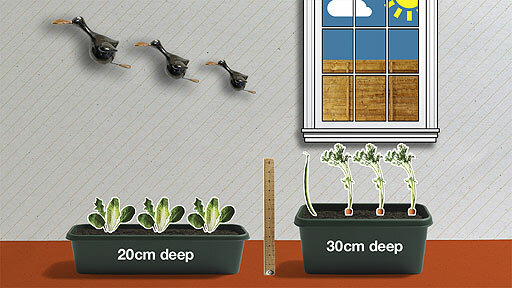 Follow this link to find step-by-step guide on utilizing your windowsill to grow your own vegetables. With a little planning and selection of the right species, it is not difficult to transform woodland into a beautiful meadow. Read more on making a beautiful meadow out of an empty landscape. Looking for something new to try in your perennial garden? Try Geranium palmatum; it is not fussy about growing conditions and produces lovely flowers in later spring or early summer. 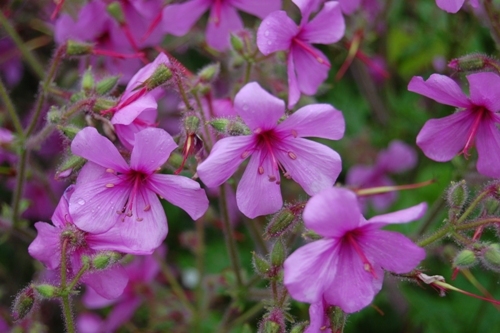 Read: How to grow Geranium palmatum. 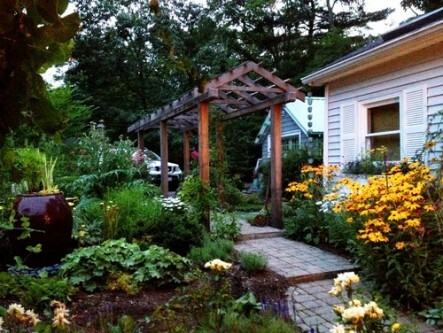 Follow this link to see how a nondescript front yard can be transformed into a remarkable garden. Corcus sativus, is a beautiful autumn-flowering perennial known primarily for the production of precious Saffron. Saffron is widely used in Indian, Persian, European, Arab, and Turkish cuisines and is sold for $4.00 and $17.00 per gram. Besides its commercial and culinary usage, Corcus sativus has its horticultural value too. The plant produces brilliantly hued flowers of pastel shade that range from lilac to mauve. These lovely flowers have a sweet aroma that is reminiscent of honey and grassy or hay-like notes. Read more about growing Saffron in your own garden. 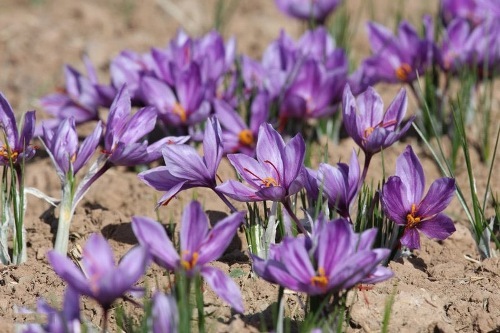 Read more on growing Saffron in your garden. Read these useful tips on pruning groundcovers and grasses to keep your garden neat and attractive.